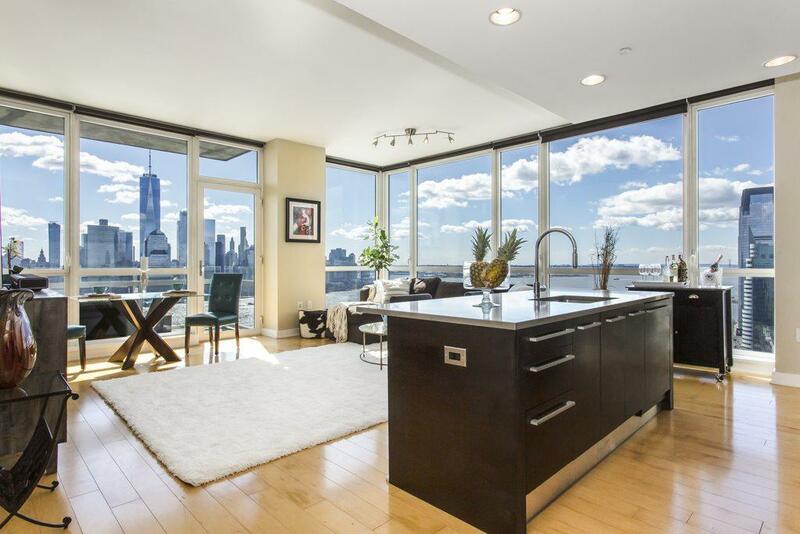 Jaw-dropping views, just under 700 SQFT of private outdoor space and meticulous design await at the penthouse of Downtown Jersey Citys finest residential building, Crystal Point. Every inch of this home has been thoughtfully crafted to satisfy even the most discerning buyers. The exquisite kitchen features sophisticated style with contemporary cabinetry, sleek stone countertops and professional-grade stainless steel appliances. A massive center island provides the perfect place to easily entertain while providing coveted storage space and breakfast bar seating. Floor-to-ceiling windows frame the living area, featuring the first of two private terraces and the sprawling open plan with plenty of room for personalization create the perfect entertainers haven. 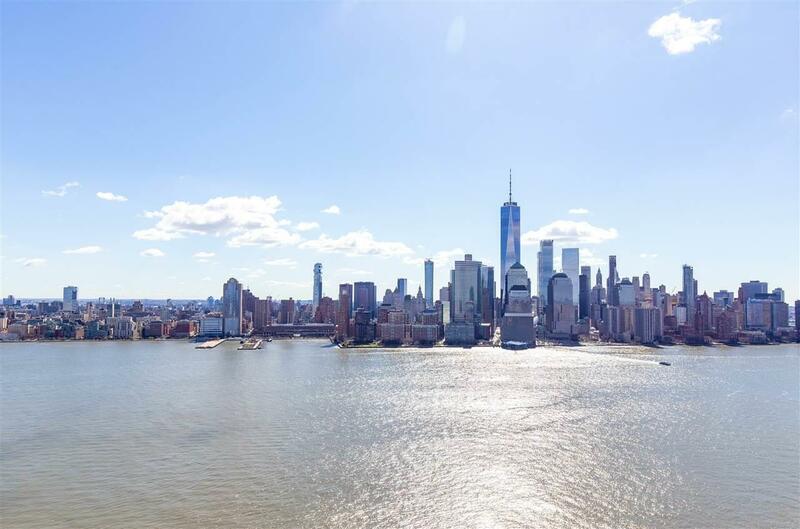 Crystal Point offers one of the most attractive deals of any luxury building on the waterfronts: a tax abatement for the homeowners until 2040. Take advantage of this program as well as a low maintenance fee, while living in style and luxury at Crystal Point. 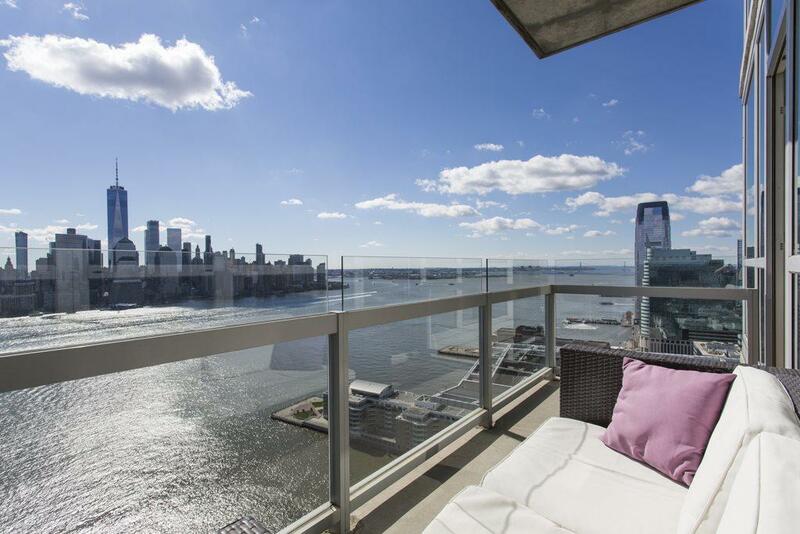 As you arise each morning, enjoy incomparable views of the Hudson River and Manhattan Skyline from the grand master suite. Featuring two fully-custom closets (one walk-in), enormous windows and a truly lavish en-suite, the master bedroom is fit for a king (or queen). The spa-like ensuite boasts a gorgeous double-vanity, glass enclosed shower and a deep soaking tub that beckons relaxation. Marble accents and stunning designer finishes complete this space. Off the master youll find true luxury, access to a private terrace with just under 700 SQFT of space to soak in the true splendor of the city. The second bedroom also features access to the terrace and an equally magnificent en-suite. A powder room and in-unit washer/dryer are the perfect finishing touches to this unique gem in the sky. Crystal point provides residents unparalleled amenity: access to the Crystal Spa (featuring a thermal bath, sauna and steam room), an enormous outdoor pool surrounded by a beautiful terrace with fit pits and gas grills and finally and yoga and aerobics room. 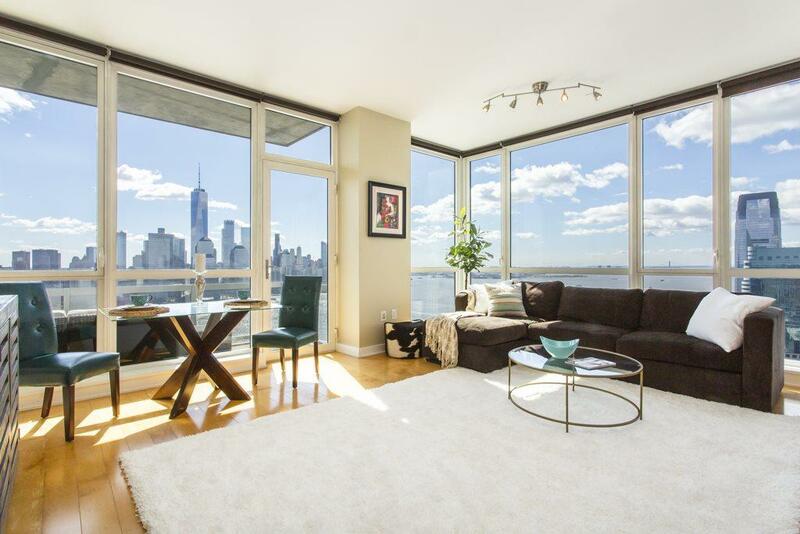 Situated just steps from the Exchange Place and Newport PATH trains, Harborside Light Rail Station and Ferry terminal, shopping, bars and restaurants, this location of your new home cannot be beat! Listing provided courtesy of Pure Properties:201-942-6234.